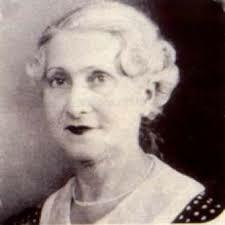 Jeanne Louise Calment : world’s oldestJeanne Louise Calment, the world’s longest living person (who died at the age of 122) was born in Arles, France on February 21, 1875 and died on August 4, 1997 in a nursing home in Arles. She was born in the year Bizet’s “Carmen” was first staged and Tolstoy published Anna Karennina, and a year before Alexander Graham Bell invented the telephone. She also witnessed the aeroplane and the cinema. At the age of 13, she met Vincent Van Gogh in Arles and wasn’t impressed by him. The Guinness Book of World Records had listed Calment as the oldest living person whose birth date could be authenticated by reliable records. Although blind, almost deaf and is confined to a wheelchair, Calment remained spirited and mentally sharp until the end. At age 121, she released her two CDs, one in French and another in English titled, Maitresse du Temps (Time’s Mistress), which featured Calment’s reminiscing to a score of rap and other tunes. A VCR tape is also supposed to be available and at least five books about her have been released. Calment’s father lived to the age of 94 and her mother to the age of 86. The longevity gene was apparent in her maternal family but she left no heir with her longevity gene. She was a widow for more than half a century. A dessert of spoiled preserved cherries killed her husband in 1942 at the age of 46, but Calment survived. Her only daughter died in 1934 at the age of 36 of pneumonia. After the death of her daughter Calment raised her grandson, who became a medical doctor and died in 1963 during a car accident. Calment’s Secret of LongevityJean Calment came from a bourgeois family and never has to work. Her husband, a cousin, was a prosperous storeowner who offered her a life of ease revolving around tennis, bicycling, swimming, roller skating, piano and opera. In later years, Calment lived mostly off the income from her apartment, which she sold cheaply to a lawyer when she was 90. Andre-Francois Raffray, who apparently relied on the actuarial table, signed a contingency contract with Calment and agreed to pay a life annuity of 2,500 francs ($500) a month under a deal to make him the owner of Calment’s flat when she dies. Yet, he died at 77 and his family was still paying for more than a year unitl she died. Altogether, they paid more than 900,000 francs ($180,000), three times the value of the house. Internationally, researchers are fascinated with Calment for both her longevity and her vitality. “She never did anything special to stay in good health,” said French researcher Jean-Marie Robine. They attribute her longevity to her immunity to stress. She once said “ If you can’t do anything about it, don’t worry about it.”. She used to ate two lbs. of chocolate per week until her doctor persuaded her to give up sweets at the age of 119. She quit smoking only at 119, but her doctor said her abstinence was due to pride rather than health — she was too blind to light up herself, and hated asking someone to do it for her.